Bourbon Barrel Aged Diabla Burdel 1 Vote Up! “NEAT: The Story of Bourbon“ Tops iTunes Documenta... 7 Votes Up! “Wine”ding Into Whiskey 5 Votes Up! Pinhook Rye Release is a Safe Bet for Sipping 2 Votes Up! Bourbon Bachelor Weekend : Destination, Kentucky 8 Votes Up! Jefferson’s Bourbon Releases Presidential Select 1... 0 Votes Up! 6 Bourbon and Halloween Candy Pairings to Satisfy... 0 Votes Up! 6 Bourbon Whiskey Quotes You Need to Read 4 Votes Up! Bardstown Bourbon Company and Copper & Kings A... 0 Votes Up! Bourbon and the Groom 0 Votes Up! Jack Daniel’s Releases New Tennessee Rye 2 Votes Up! Michter’s Announces Toasted Barrel Finish Rye 0 Votes Up! Bourbon and Barbecue 1 Vote Up! Four Roses Announces the September Release of Thei... 0 Votes Up! Bacteria and Your Bourbon 2 Votes Up! Old Forester Releases 2017 Birthday Bourbon Expres... 3 Votes Up! 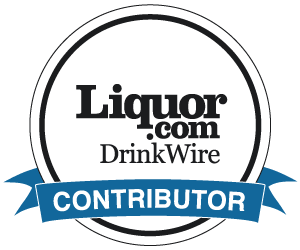 Casey Jones Distillery Plans Lights Out Festival f... 2 Votes Up! 9 Things You Might Not Know About Bourbon 5 Votes Up! Buffalo Trace Distillery Opens New E.H. Taylor Tou... 0 Votes Up! New Bourbon Brand Never Say Die Born This Week 2 Votes Up! MB Roland to Host Kentucky Bourbon Mashoree 2 Votes Up! Old Forester Releases Statesman Bourbon 6 Votes Up! Drink or Swim: Shark Week with The Bourbon Review 5 Votes Up! History in the Remaking – Pearse Lyons Distillery... 1 Vote Up! America’s Best Bourbon Bars For 2017 0 Votes Up! Bourbon Etiquette: Why Do People Tap Their Drink o... 9 Votes Up! Angel’s Share Biscuits 3 Votes Up!